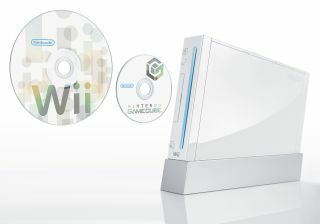 Weird Tech: Does the Wii attract cockroaches? If you own a Nintendo Wii, you could be in imminent danger of a cockroach invasion. That's according to a bizarre report on Japanese-language gaming website Barks, which claims that the Wii operates at a frequency favourable to pests. Naturally it didn't take long for the claim to be dismissed as ridiculous, not least because no one seems to have actually noticed it happen. A 17-year-old girl from New Zealand who misled a man into stripping naked and walking into the wrong house with an enticing text message has been charged with misusing a telephone, Reuters reports. The girl promised the man an early Christmas present in the form of herself and a friend, helpfully suggesting he should remove his clothes to save time. The man wasted no time in arriving at the house, throwing his clothes through the window as he arrived. Sadly, it was the wrong house, and the unsuspecting homeowner was less than impressed. Both the man and the woman escaped prosecution and were cautioned. If your week has been anything like ours, you'll appreciate today's Gadget of the Week: the Mobile Phone Liver Sensor. Korean scientists have created a device that connects to your handset and checks two enzymes in your bloodstream before sending off the results to a participating hospital. Ideal for assessing the damage after the office Christmas party. An aquarium in Japan has come up with an unusual way to generate the electricity to light up its Christmas tree, involving the use of a large electric eel. Having kitted out the water tank with aluminium panels and cables, the eel generates up to 800 watts of energy every time it moves. When asked to comment, the inventor said: "If we could gather all electric eels from all around the world, we would be able to light up an unimaginably giant Christmas tree. So, I would love to see the massive flash on the Earth from somewhere in the universe." That man needs therapy.